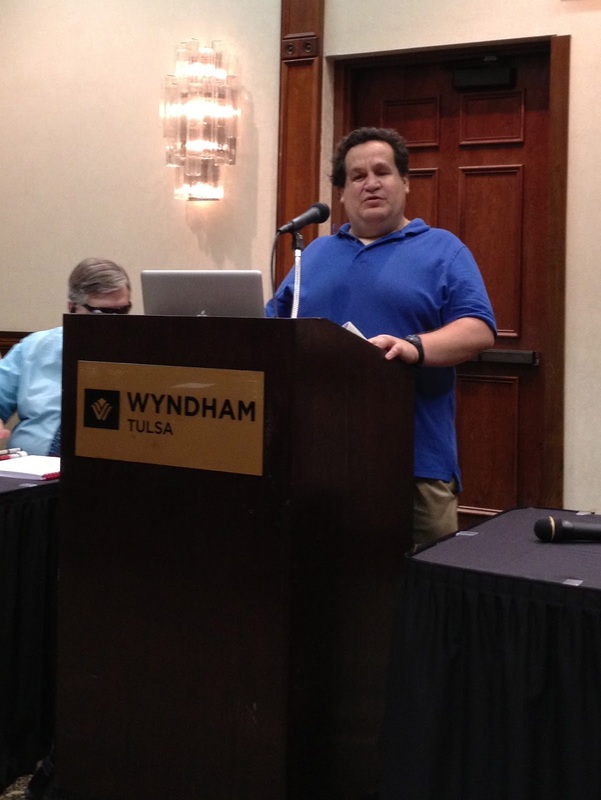 Tulsa Council of the Blind: What's happening at the OCB Convention? Friday was jam packed with helpful information for the attendees of the Oklahoma Council of the Blind Convention in Tulsa, OK. After a brief welcome, OCB President Jay Doudna introduced Brian Charlson, the Director of Computer Training Services at the Carroll Center for the Blind. Charlson spoke about accessible distance learning as well as gave demonstrations on the latest and greatest in assistive technology. his knowledge of assistive technology. Next, Melissa Sublett, attorney with the Oklahoma Disability Law Center, discussed how work affects SSI and SSDI. After lunch of pizza, Brian Charlson discussed Assistive technology in the workplace and best practices by rehabilitation professionals. Kim Charlson, Director of the Perkins Braille and Talking Book Library and first Vice-President of the American Council of the Blind, spoke on the services of the American Council of the Blind and the Perkins Braille and Talking Book Library. The evening ended with a light dinner, a welcome by Convention Chairman Jesse Martinez and OCB President Jay Doudna, and a fun night of Bingo and Word Trivia. 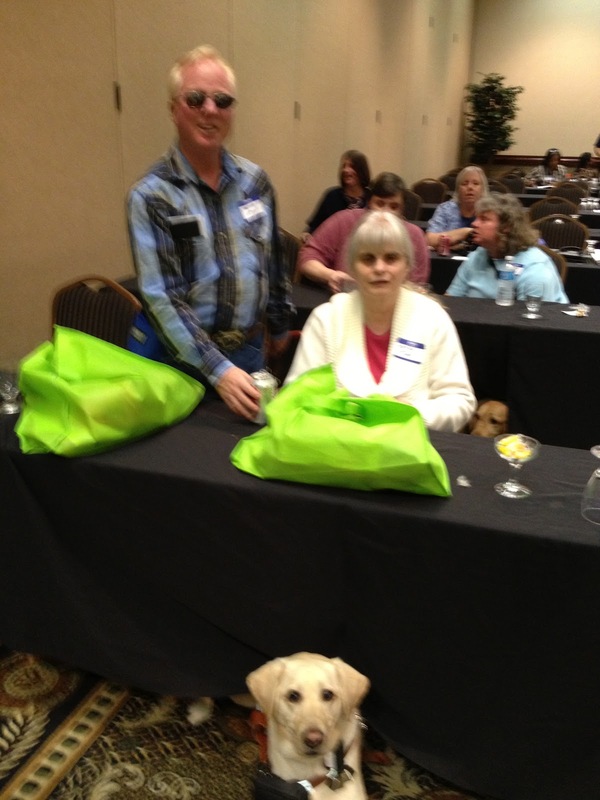 Everyone seems to be enjoying the convention, including Ruthie's dog Ivanna! out from under the table.